NEW FOR 2018! Exciting new interactive LIGHT GAME. 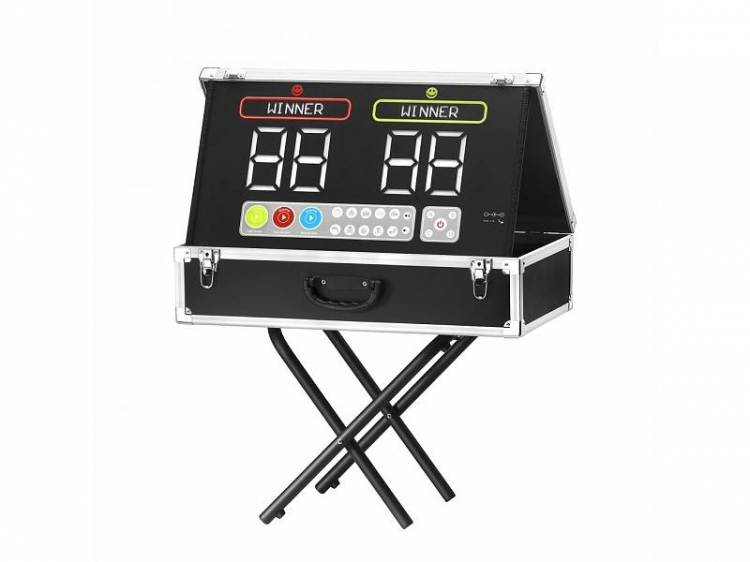 Comes with high tech wireless automatic score board. Several different games to play! Fun sound effects. Race your friends to see who can touch the most lights before the time runs out! Great for any and all ages -- kids, teens, or adults. 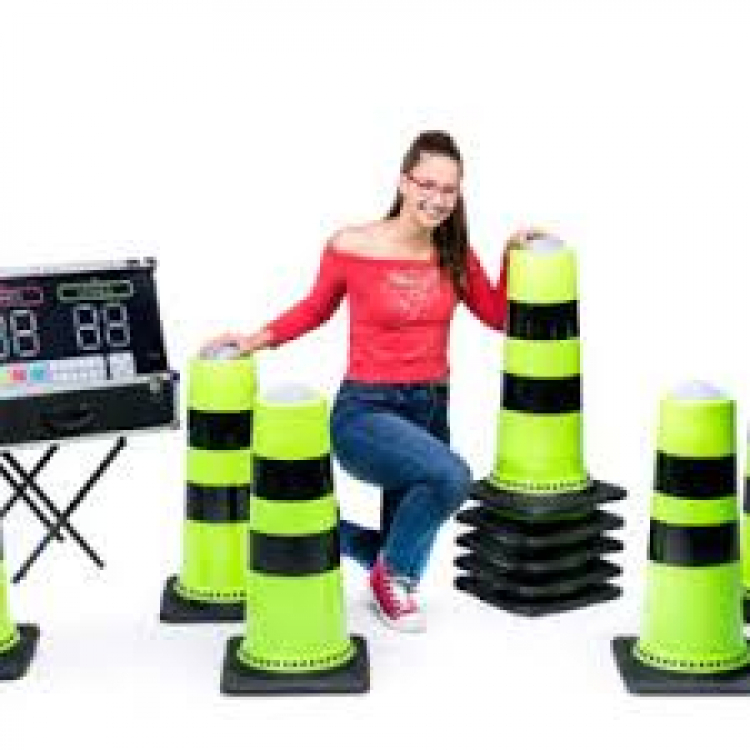 LIGHT GAME can also be played with cones set in any configuration instead of the inflatable. 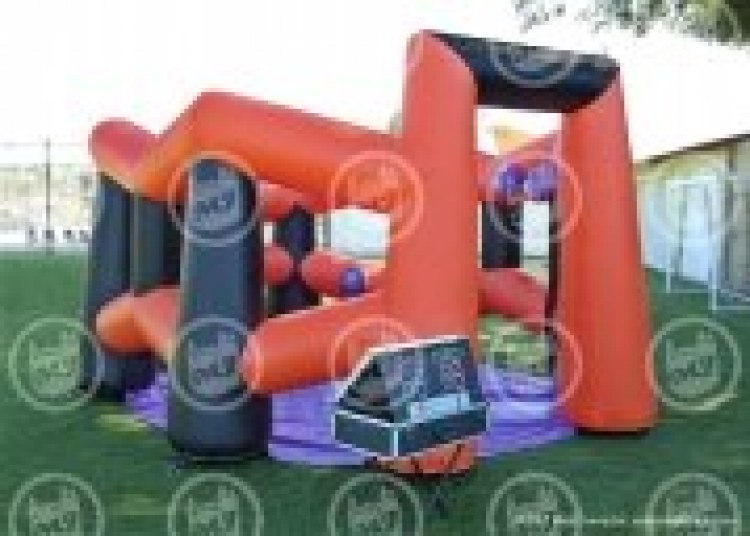 LIGHT GAME with INFLATABLE from $130 to $260 per day. LIGHT GAME with CONES from $95 to $190 per day. Pick the LIGHT GAME on the quote form and then choose either the INFLATABLE or the CONES (or both) to put the lights in.The inflatable and/or the cones are listed as an accessory under the LIGHT GAME. The first picture shows the control/scoring box, the second picture shows the lights used in the inflatable, and the third picture shows the lights used in the cones. You can also watch the videos on the home page of the website to see either option in action!